For Sod Installation we only use local, premium quality grass to North Texas for use in the Lantana, TX area. Don’t hesitate to give us a call today or fill out the quote form on the right for a free estimate. 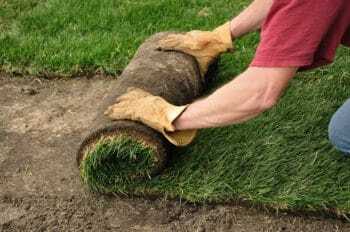 Our sod experts have many years experience installing premium sod. We exclusively use high quality, dependable sod, including several different types of Bermuda, St. Augustine and Zoysia. Our sod never have any problems with weeds or pest infestations before installation. Our job is to help you choose the right type of sod for your lawn and lifestyle. Call today for the best sod installation, landscaping or lawn maintenance in the Lantana Texas area. Premium quality sod installation in Lantana, TX since 2006!